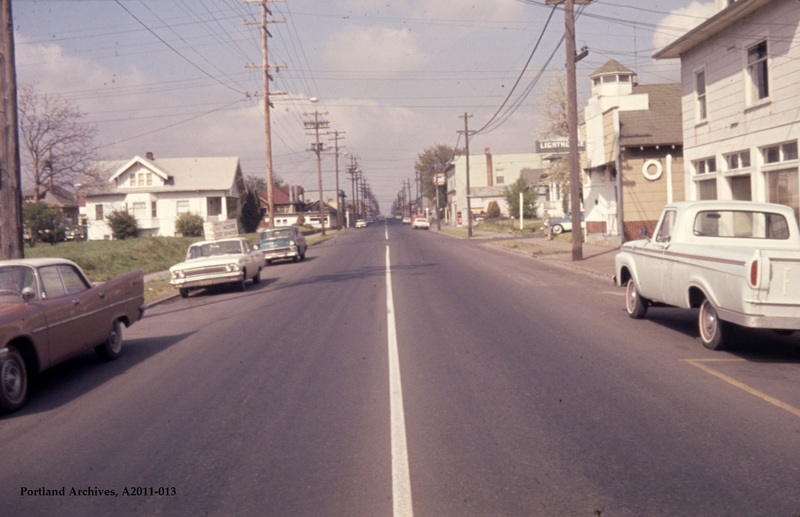 NE Alberta Street from NE 25th Avenue, 1964. 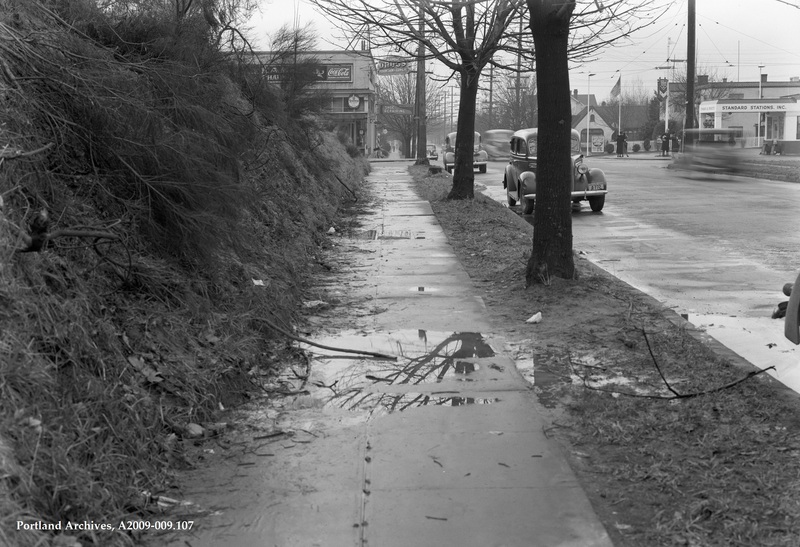 City of Portland (OR) Archives, VZ 128-64 : NE Alberta Street from NE 25th Avenue, A2011-013, 1964. 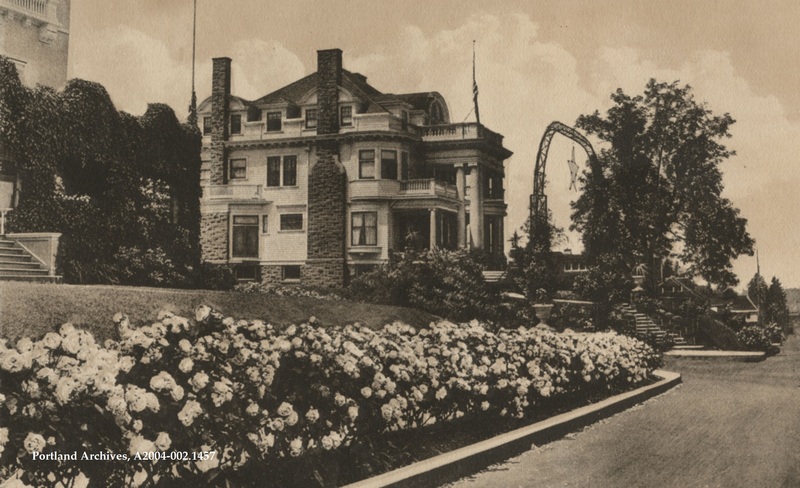 Sidewalk lined with roses at NW 25th Avenue and NW Lovejoy Street, 1915. For another view or this location, click here. City of Portland (OR) Archives, A2004-002.1457. 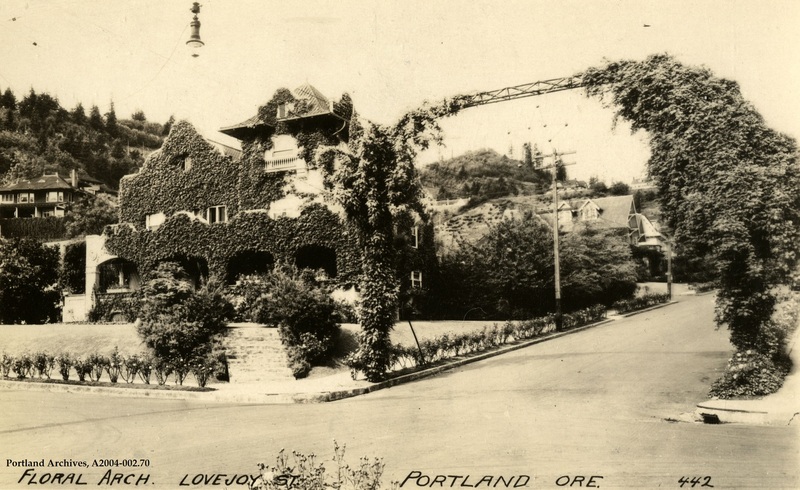 Floral Arch on NW 25th Avenue and NW Lovejoy Street, circa 1925.